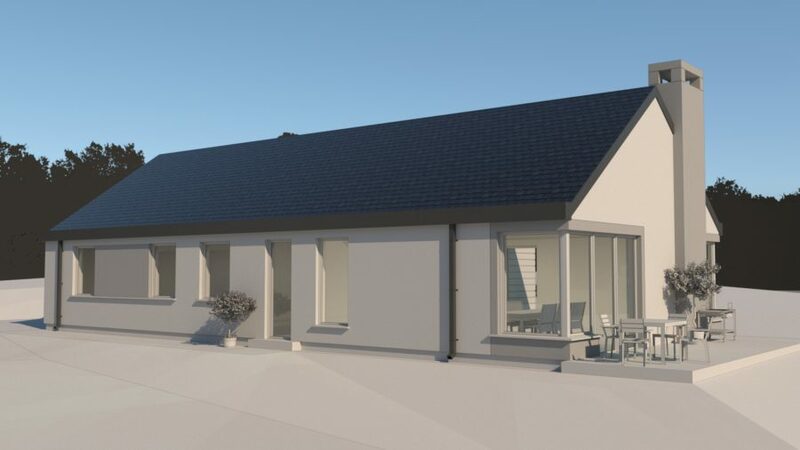 This property is located in Butlerstown, Waterford, and enjoys beautiful views of the Comeragh Mountains to the west. 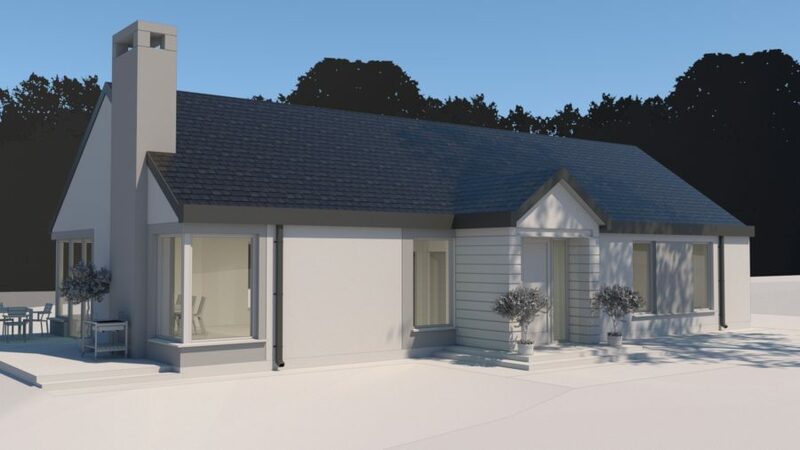 The client approached us to design a new family home while adhering to a modest budget. The project was designed as a single-story building – a bungalow – with importance placed on its sustainability. To meet the requirements, we aimed to design a layout that is both functional and compact. Our approach was to first create a light and airy open ground floor. The house is designed to have two separate zones; a private zone with bedrooms, laundry, and utility room, and a public zone, with spacious double height ceilings and open plan living room, dining room and kitchen. our approach was to first create a light and airy, open ground floor plane, To take advantage of the mountain views, we introduced a large west-facing window. Despite the high ceilings and abundance of glass, we used passive design principles to ensure the house is both warm and heating-efficient. Ultimately, a sliding door allows to access a paved patio area while also ensuring the outside recreation area functions as part of the house.